If you are a Park City business owner, you understand the importance of landscape maintenance & landscaping in Park City, Utah. With Park City’s seasonal weather changes, it is necessary to maintain Park City landscaping all year round, with Ridgeline Landscape, we stick around all year, even during snowy weather to maintain sidewalks, walk ways, drive ways, parking lots and more. You have found a local Park City landscaping company that knows what it takes and works for you all year round. We have found that decorative curbing, custom concrete, custom stone carving and water features have become extremely popular over the last few years. 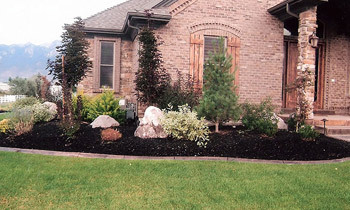 Working with Ridgeline Landscaping in Park City, you can rest assure that you are working with certified and experienced Park City landscaping contractors to get the job done. Call today and learn about our affordable Park City landscaping rates and how they will fit your company’s budget. Or contact us via email and speak with one of our many certified landscapers and receive a custom free landscaping or landscape maintenance estimate and have Ridgeline Landscape working for you right away.